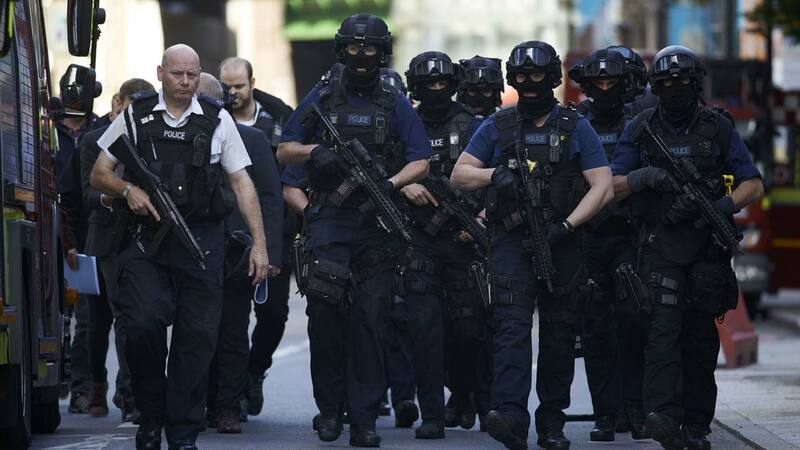 Police arrest 12 over London attacks – Royal Times of Nigeria. 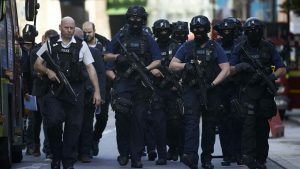 British police arrested 12 people Sunday in connection with the attacks in London that left seven people dead, after raiding several addresses in Barking, a suburb to the east of the capital. “The investigation into last night’s horrific attack in London is progressing rapidly as the Metropolitan Police Service (MPS) continue to piece together exactly what occurred,” the force said in a statement. It added that “a number of addresses” in Barking were still being searched. Four women wearing Islamic veils over their faces were seen being led away by police by an AFP photographer, although it was not clear whether they were among those arrested. There were several police vehicles outside a block of flats that had been cordoned off. Sky News had previously reported the arrest of four men following a raid by armed police at 7:00 am (0600 GMT), as well as one woman who was then released. Three men rammed a van through crowds of pedestrians on London Bridge on Saturday, before attacking revellers with knives, leaving seven people dead and 48 in hospital.